I don’t know about where you live but North Carolina seems to have recalled Spring for this weekend. Argh! I’m starting to sound like the little girl from Non-Sequitur and not the rational one either! Every cookie recipe I’ve seen that calls for cutting out cookies recommends chilling the dough before you roll it out. Why? All it does is make the dough crack when you roll it out. You wind up having to wait for it to warm up just enough before you can smoothly roll it out. I have started rolling out my cookie dough as soon as I make it. 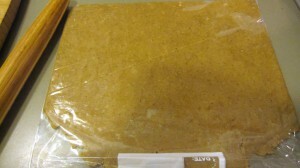 The trick is to place it in a plastic bag, then roll it out and refrigerate. 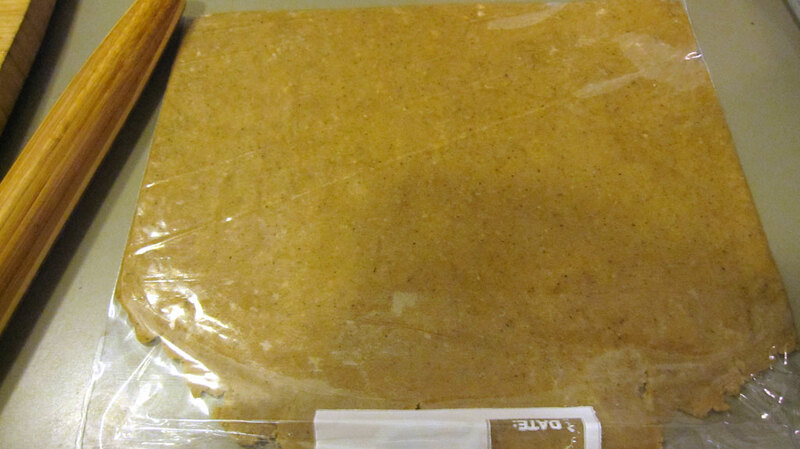 You get nice square even thickness dough for the price of a plastic bag. You will have to cut the bag off. This is a sacrifice I’m willing to make for not having all the messy clean up of floured counter tops and sticky rolling pins. The readers have spoken! 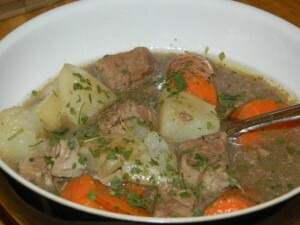 The most popular post was from Rheagan at Where the Wild Rose Grows with AIP Irish Stew. This post has been pinned. Congratulations to Rheagan! I hope she continues to join the link party. 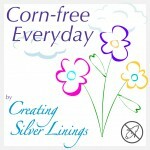 This entry was posted in Art, Autré Chose, Link Parties, Recipes, Tips and tagged allergy, corn free, corn-free every day, crafts, healthy living. Bookmark the permalink.